The country’s only mobile cinema is coming to Blackburn next week to bring a series of red carpet programme premieres to towns and cities in the North. 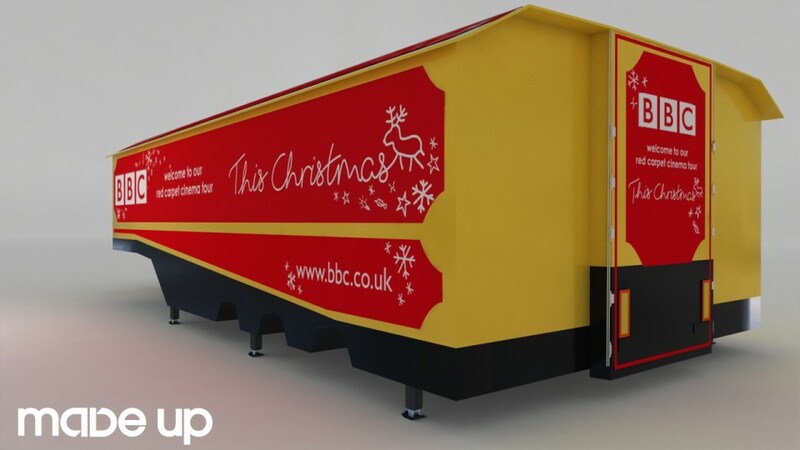 The 100-seat cinema will be rolling into nine Northern towns and cities to spread a little seasonal cheer and broadcast some of the BBC’s most eagerly-awaited Christmas and New Year content – morning, afternoon and night. It will be in Blackburn at 3 Cathedral Square on Thursday, December 22. Members of the public will be invited to roll-up, hit the red carpet and enjoy a festive feast of BBC viewing from the comfort of the temperature-controlled movie mobile. Getting a head start on the rest of the viewing public, they will be able to see sneak previews of specially selected Christmas and New Year premieres and catch up with BBC favourites from across the range of genres – from children’s and comedy to drama and natural history. With the content tailored to each different location, general screening highlights will include: a preview of CBBC’s much-anticipated new series of children’s classic The Worst Witch; a thigh-slapping peek at the anarchic goings on in the CBeebies Christmas Panto: The Nutcracker; a seasonal visit to Call The Midwife which sees the nuns off to help a hospital in South Africa; a chance to have a ‘khan-derful Christmas’ with community leader Mr Khan and his family in the Citizen Khan Christmas Special; a peep at one of the jewels of the BBC’s Christmas crown – the animated adaptation of Roald Dahl’s Revolting Rhymes; and a look at the extraordinary wild inhabitants of a small village in France in Wild Tales from the Village.